Amanda Kyle Williams has contributed to short story collections, written small press novels and worked as a a freelance writer for the Atlanta Journal-Constitution. She was a house painter, a property manager, a sales rep, a commercial embroiderer, a courier, a VP of manufacturing at a North Georgia textile mill, and owned Latch Key Pets, a pet sitting and dog walking business. She also worked with a PI firm in Atlanta on surveillance operations, and became a court-appointed process server. 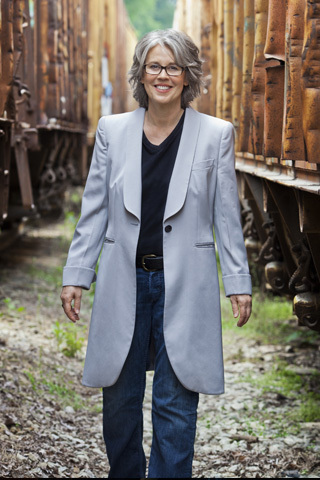 In order to lend authenticity to her Keye Street series, Amanda took courses in criminal profiling and practical homicide investigation, and frequently consults with professionals in law enforcement, bond enforcement, criminal profiling and forensics. Amanda burst on the thriller scene in 2010 with her first crime novel, The Stranger You Seek, which was hailed by Publishers Weekly as an “explosive, unpredictable and psychologically complex thriller that turns crime fiction clichés inside out.” Stranger In The Room (Bantam 2012) is the second book in the Keye Street series and book 3, Don’t Talk To Strangers (Bantam 2014), has been called the strongest, most exciting book in a series that keeps getting better. Amanda has been shortlisted for both the Shamus Award from the Private Eye Writers of America, and the Townsend Prize for Fiction. She is currently at work on the 4th book in the series, A Complete Stranger. Lifeline Animal Project is an Atlanta-based non-profit organization working on collaborative solutions to end pet overpopulation and stop the euthanasia of healthy and treatable dogs and cats in shelters. Lifeline’s focus is to promote the adoption of homeless pets and to initiate and support effective spay and neuter programs. Fugees Family, Inc. is a 501(c)(3) non-profit organization devoted to working with child survivors of war. Photo credit "Kaylinn Gilstrap Photography"